A while back I ordered the Lime Crime Alchemy collection, at the time it was listed as Limited Edition and it had a discount if you purchased the whole collection as well as a special book that they called a Mook (Magazine/Book). Currently you can still purchase the eyeshadow palette and it is no longer limited edition, you can also purchase the lipsticks although I believe Serpentina is only available around the fall time which is a shame because it's an amazingly gorgeous lipstick. Formula: I really love the formula for Incantation and Divination, they are very smooth and creamy without being powdery or crumbling when I tried to swatch them with my finger. Lucky Charm and Love Potion N'9 seem to be a more firmly packed shadow and I had a little trouble (not much) trying to swatch them but the pigmentation is still really great. Spellbound is smooth and creamy like Incantation and Divination, it has a little bit of a powdery texture but not very much and still swatched well with great pigmentation. 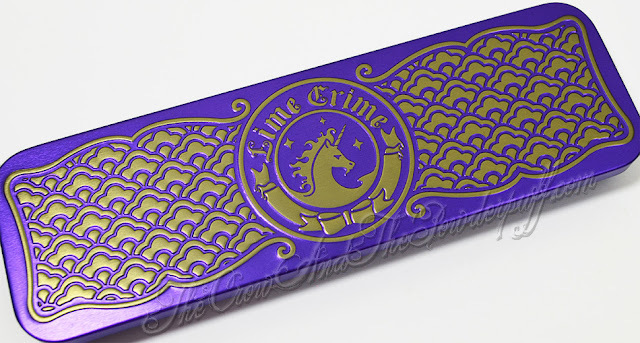 The packaging: I love this packaging, I'm a huge fan of unicorns (and anything horse like in general especially fantasy based) and the color of the packaging is gorgeous. I know some people have said it seems like a cheap watercolor case but I personally think it would be easy to carry around. The only thing I did not like about it was the fact the insert that holds the shadows is a flimsy plastic sheet, although I did not notice the shadows moved around at all I think it would be cool if they added a more sturdy inside to it. It wouldn't have to be anything fancy like a MAC case but maybe a more sturdy thick cardboard insert would make it nicer. 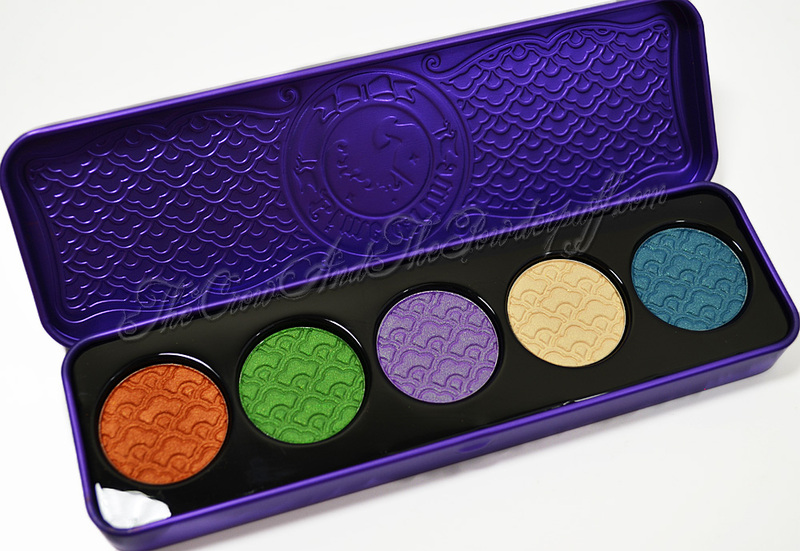 My Final Thoughts: I really love the colors in this palette, I'm more of a blue kind of girl but the orange in this palette is amazing and I don't think I own anything that is like it. The shadows that seem to have the best formula are Incantation and Divination, they are smooth and soft without being powdery and are extremely pigmented. I swatched all the shadows over Urban Decay Primer Potion and had no trouble getting the color to show up. Would I purchase again? 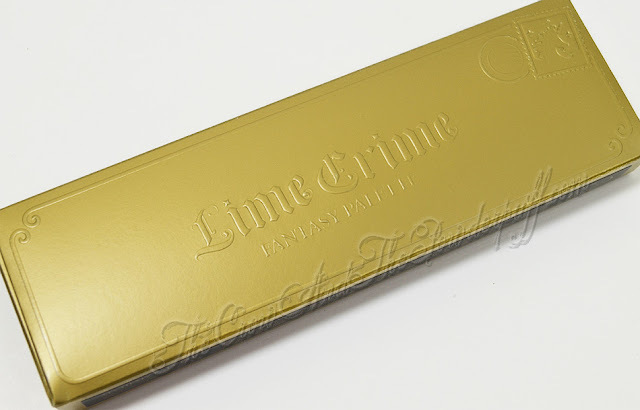 Yes I would definitely purchase from Lime Crime again! I had no issues getting my package and everything was in order, these shadows have great color pay off and the packaging is pretty. I definitely want to try their liners, lip glosses, and especially their eyeshadow primer! Really trying to streamline my reviews but still include all the information I'd look for if I was trying to decide on buying something. every one of those shadows is gorgeous! Makes me curious how the other palettes are. I got the collection too, but I still haven't used the shadows. 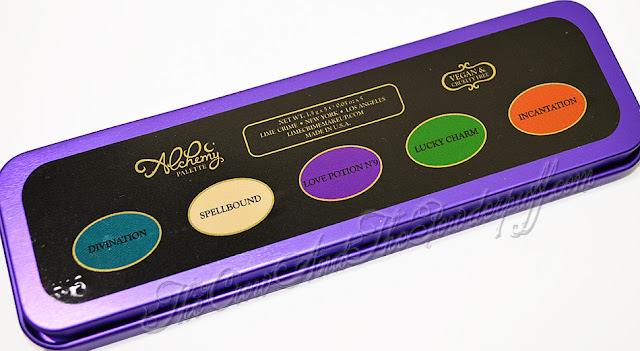 For some reason I had trouble with lucky charm and divination when I tried swatching them, they were both really sheer. I used my finger and a denser brush than I would normally use and nothing. No matter how much I packed it on, and over different bases and primers. Which is a shame, lucky charm is such a pretty green. Stila on Sale at Hautelook! !